"Live sport is always where it crystallises the step-change in the viewing experience." - BT Sport's Managing Director, Delia Bushell. At the weekend BT Sport launched the first ever live Ultra HD channel in the UK, BT Sport Ultra HD. The opening salvos of the new footie season were fired between Arsenal and Chelsea, all filmed in the new super resolution at Wembley's Community Shield. It was a weekend of firsts for BT Sport, on the two year anniversary of its launch. 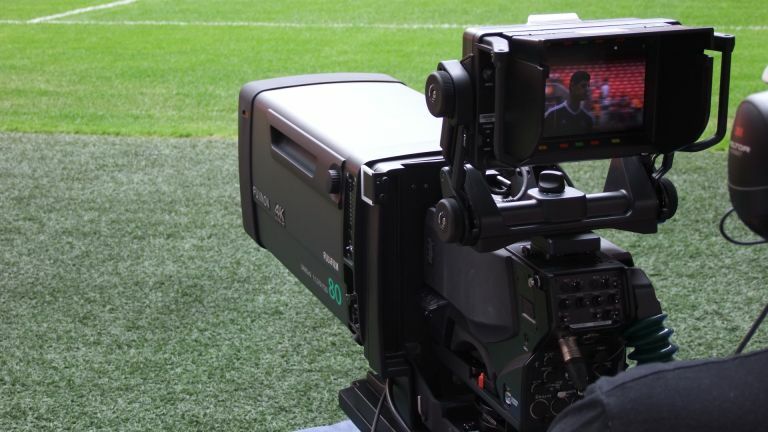 Not only was it the first live UHD broadcast in the UK, BT Sport was also using brand new Sony and Fuji 4K camera technology too. We spoke with Delia Bushell, Managing Director of BT Sport, before the match about what the birth of broadcast UHD means for BT and what it means for the high-end TV manufacturers and the industry in general. Having fresh, live UHD content is a massive boon for the TV makers looking to provide a genuine reason for people to opt for an Ultra HD television. Content has been the biggest problem in the push for 4K UHD adoption - the TVs themselves are great, but without the native content consumers will quickly grow frustrated. It's telling though that it's BT Sport who is leading this technological advancement. With Sky having been badly burnt by the failures of 3D, especially on the live sporting side, BT Sport has a clear run at the UHD angle right now. There are reports of a new Sky Ultra HD box on its way, but it hasn't officially announced anything either on the hardware side or on a UHD update for its channel offerings either. BT Sports new UHD box - which we're also testing right now - has pushed Humax to create a powerful new Youview box for BT TV. But the Ultra HD content isn't being limited to live sports broadcasts - it is also in the process of getting Netflix on board too.